So. 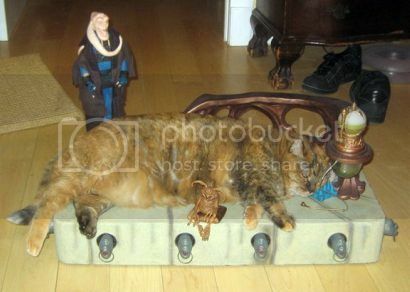 Jabba the Cat. Obviously I couldn’t NOT post this. This is exactly the sort of cosplay* I would expect from a cat: the lazy kind. Via Julia Segal, who loves a serving of cat with a side dish of LOL. * Yeah. That’s right. I’m tagging this post “cosplay”. Kitty’s been hittin’ that hookah a bit too much!